Dana Hall School will become an anchor tenant in the ice rink facility at the new Wellesley Sport Center, which is slated to open in 2019. 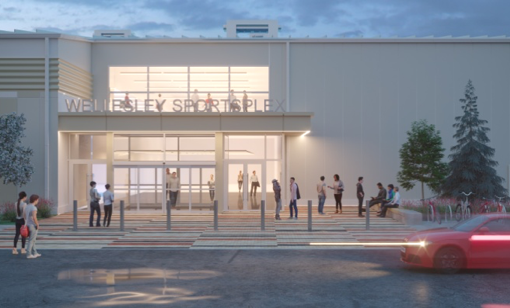 Currently under construction and less than 10 minutes from Dana Hall’s campus, the Wellesley Sport Center will provide a true home ice advantage for the School’s ice hockey program. Currently, the ice hockey team holds its practices at 6 a.m. in the St. Sebastian’s School rink in Needham. They do not have any home games – the Dragons are always the away team. The new agreement gives Dana Hall School seasonal locker room ownership, ice surface naming rights and facility advertisement. Most importantly, the team will be able to practice in the afternoon during the time set aside for all of Dana Hall’s athletic programs and host home games that are easily accessible for players, families and fans. 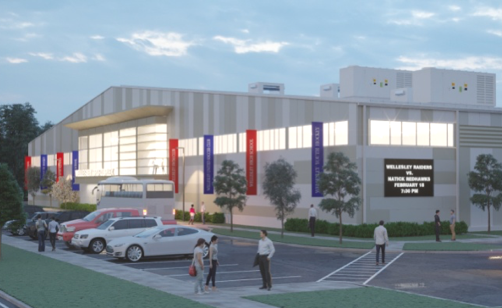 When the Wellesley Sports Center opens in 2019, the 130,000 square foot sport and recreation facility will host local youth, high school and advanced programs in ice and sled hockey, figure skating, aquatics and turf programs, along with strength and conditioning and physical therapy components. It is located on the eastbound side of Route 9 in Wellesley.